Cassandra of Indie Reader Houston runs the meme: “5 Best Books”. Every week, a different topic is suggested by Cassandra and participants list what they think are the 5 best book for that topic. Click HERE to see the topics for the next few weeks. But killings start to happen and the boy keeps seeing a ghost. It becomes rather scary when he realises his best friends are the next on the killer’s list. Julia and Valentina are 20-year old twins who inherit a flat in London, near a grave yard. Some time after they arrive, Julia and Valentina become aware of the ghost of their aunt Elspeth, who is still present in the apartment. They talk with her a lot (via an Ouija board). During their stay in London, the relationship between Julia and Valentina deteriorates because Valentina has had enough of being told what to do by her sister. Valentina then plots a way to be independent of her sister. Here’s my review. Lara (27) is at her great-aunt Sadie’s funeral (whom she’s never met), when a girl of her own age asks her to stop the funeral because her necklace has gone missing. No one else can see the girl and soon Lara discovers it’s the ghost of her great-aunt, in a younger form. She wants Lara to help her find her necklace as she can’t be laid to rest without it. Sadie’s ghost keeps bothering her so in the end, there is no other option than to go looking for the lost necklace. What she finds is a thief and crook, love, and a better job. The famous old story about Ebenezer Scrooge whose idea of Christmas is “Bah! Humbug!”. He’s got money enough but doesn’t want to spend it and has no interest in the miserable circumstances his clerk is living in. Then just before Christmas, he is visited by 3 ghosts and they show him how great his past was, how miserable his current life, and how he will end up if he doesn’t better his life. Just when Christmas starts, Scrooge changes into a better person and hands out goodies to the poor calling “Merry Christmas” to all who wish to hear. There are a lot of ghosts in this book, except they aren’t featured much. In fact, they have disappeared! This is the second part of the Parasol Protectorate series. Alexia Tarrabotti is mystified by the sudden cessation of supernatural powers: werewolves and vampires can only take their human forms and ghosts have disappeared altogether. Alexia travels to Scotland in a dirigible (a kind of zeppelin) to try and find the cause. My review is here. 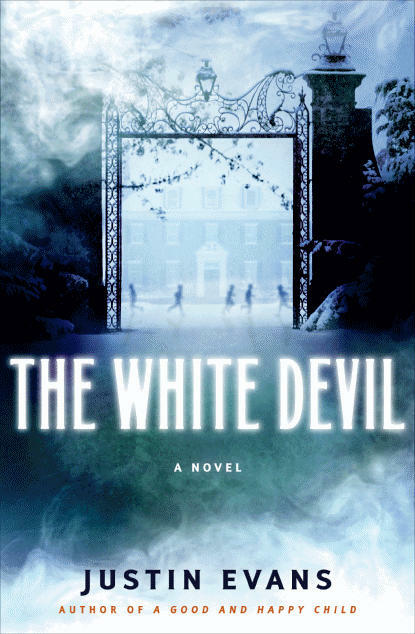 What ghostly books are your favorites? This week, the topic is Hope. What follows is a list of very different books in which hope is an important topic in some way or another. A great book about the troubles of an Oklahoma family in the 1930s. They are driven off their land, and seek work in California, just like several 100s of thousands of other people. Work is scarce, pay is low. During the trip to California, and after arriving, the family, who are 12 to start with, slowly fall apart, and in the end there are just 6 left. The book ends when there is no more work, no more food, and it has rained for days. Still it ends with some hope: the family are still ready to help other people who have greater needs than themselves. .In a post-apocalyptic world, a man and a boy are travelling on foot. They are cold (there are ash clouds above them all the time, they cannot see the sun) and hungry. They hope to get further South (maybe they expect it to be warmer there) but they encounter body-hunters (for food!) and thieves/murderers along the way. They are both not sure whether it’s better to be dead or alive, but they struggle onwards anyway. So bleak! And so beautiful! Anil and Lina both have an Indian background, but Lina is Muslim and Anil is not. They are very much in love, but Lina doesn’t want to disappoint her parents. For some time has a secret relationship with Anil while her parents think she’ll accept their choice of husband. Anil keeps hoping Lina will tell her parents and marry him. It’s a great book full of dilemmas and lies. Marine Singh works for a pharmaceutical company in the US. 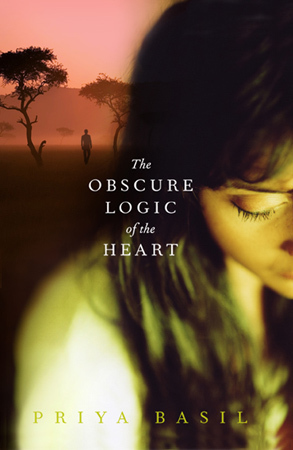 When a colleague of hers is reported dead in the Amazonian jungle, she is sent to investigate. It’s a remote place where another colleague has been based for years, doing research with the native people. She isn’t exactly keen to see Marina show up. While the book itself is not really about hope, it’s me, the reader, that kept hoping Marina would get home safely again. The jungle is full of dangers and she doesn’t get much cooperation from the people there. A virus has escaped from a research facility and affected people feed on anything they come across, including other people. It doesn’t take long before groups of people have barricaded themselves in while the affected run free and prey on the healthy people. A group of healthy people then wants to travel across the country in search of other survivors. They keep hoping for a better life in which they can live safely and have enough food. 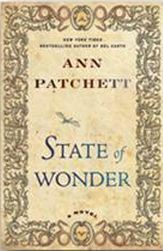 Great book, a bit like The Road in the sense that people keep hoping for better, against the odds. What books about hope are your favorites? This week, the topic is Back to School. I have a confession to make: it’s rather easy for me to find five books for the 5 Best posts every week. You see, I have a Shelfari account (it’s like Goodreads) and for each book I read, I give it some tags (e.g., crime, literary fiction, Scotland, etc.). So I check a tags that corresponds with that week’s 5 Best topic, and I choose from the books that come up. However, I noticed I don’t have a tag for “school”. Not a problem, as I do have one for “university”. That counts too, doesn’t it? Watanabe is a 19 year old student who lives on a university campus in Tokyo. Two years after a friend of his died, he meets up with the friend’s then girlfriend, Naoko. They start a friendship, but soon Naoko has to spend some time in an psychiatric institution. Watanabe wants to wait for her, but also meets another girl, Midori, who is doing the same classes as him. With her, he also starts a friendship. Midori is elusive in her own way, and Watanabe is fascinated by both women. Eventually he has to chose between them. A very good book about Alzheimers. The main character is Alice, a 50-year old psychology professor who starts forgetting things and becomes disoriented. The book describes very well (as far as I can imagine) how Alice experiences the small inconviences that Alzheimers bring her at first, until the point later in the progression of the illness where she does not realise that anything is wrong with her. Also, the behavior of the people around her, like her husband, children and colleagues seemed very believable. An easy read, interesting book. This book is about a university in Iowa. Because of its agricultural focus, it called “Moo”. We follow the activities of several people, students and staff, and their relationships. The book is quite fun, especially if you know about academic life, it’s satirical. My only complaint is that there are many characters. This makes it difficult to remember who is who and what we read about them last time they were mentioned. It’s a wonderful story about life at a university from the viewpoints of all people involved. A time-travel story back to the wrong time. Kivrin, a university researcher from 2054, goes back to the year 1320 to investigate medieval life in England. Soon, her colleagues in modern times realise something has gone wrong. Has Kivrin really ended up in 1320, or is it maybe a different year? Kivrin, meanwhile, learns to understand the language of the people in the hamlet where she is staying. When the villagers get ill, she tries to save them. But will she be able to go back to the present time? I really enjoyed this book a lot. It was interesting, well-written, and absorbing. A easy, quick read about a former teenage pop-star who now works as a caretaker in a student flat. When a dead girl is found, the police think it’s just an accident. But Heather does not believe that and starts her own investigation. The sequel (Size 14 is not Fat Either) is very similar, so this series is especially interesting when you read your first book in the series. It’s a quick, fun read from the perspective of a university caretaker. What books about academic life are your favorites? This week, the topic is genre reads. Procrastinator Mike Gayle decided enough is enough and he made himself a to-do list of over 1200 (!) items which he vowed to clear within a year. The book follows his progress and highlights the most interesting items on his list, the people he met while carrying out the items or the situations he had to overcome to be able to fulfil his goals. It is a fun read and in the back of the book are all 1277 items listed. An inspiring book! A very different book is the story of the childhood of Jeannette Walls. She comes from a very deprived background. 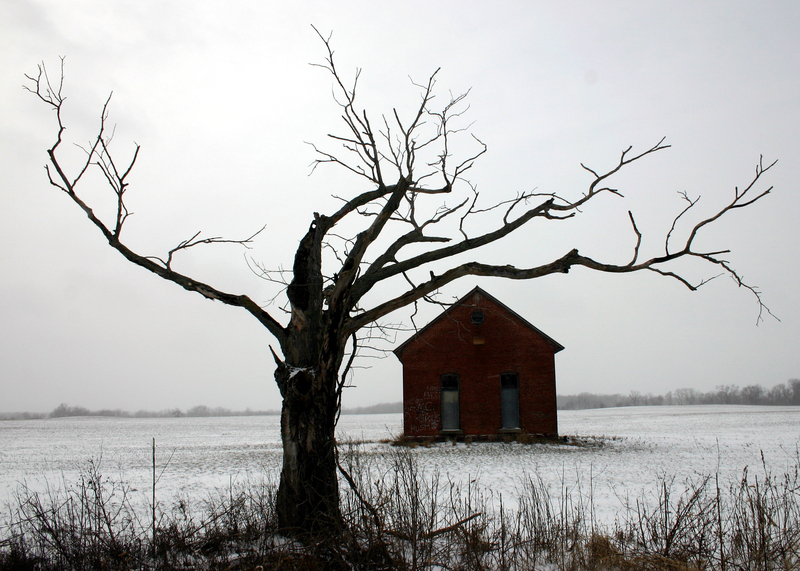 Although her parents were educated people, they were always on the run from debt collectors. As the parents refused to accept welfare their kids missed out even on the basics, such as warm clothes and food. They lived in bitter poverty and the children regularly had to eat food that was discarded by others in rubbish bins. Jeanette Walls does not condemn her parents but writes it as it was. A really nice travelogue. 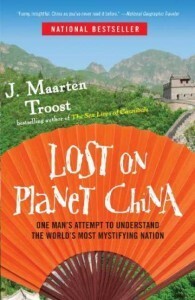 Troost visits China as a tourist. Although he is an experienced traveller, initially he feels as lost in China as I think I would be. Without complaining, and with humor, he tells about all the strange things he encounters in China: food, crowds, air polution, etc. If you want to experience China without actually going there, this is a great book. My review is HERE. 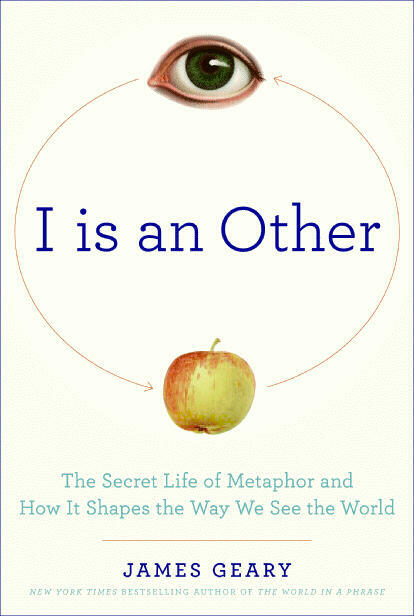 This is a non-fiction book about metaphors. A metaphor is used when you use unrelated words to describe something. For instance, “My job is a jail” or “She had a bright idea”. A job isn’t literally a jail and an idea can’t emit light. The psychology behind using metaphors is explained for various areas of our life, such as advertisements, science, innovation, stock market and politics. There is also a chapter on Aspergers and metaphors. Easy to read, full of great insights. 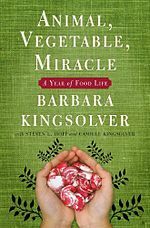 Barbara Kingsolver and her family move from California to a farm in Virginia and challenge themselves to eat only food produced on their own farm for a year. The book tells about their agricultural year, their reasons behind the challenge, the American agricultural business and how local produce would make life healthier, cheaper and the country a better place to live in. The book is written in a friendly way, with very little (but some) condescension. There are some recipes and a lot of references to other books and articles propagating local food. It’s inspiring too! What non-fiction books are your favorites?